Mansi Silk Catalog : Beautifull 6 Weaving Range Designer Sarees By Apple Saree.Latest Wholesale Party Wear Saree Apple Saree Mansi Silk Full And Single Suit Catalog By Apple Saree At Wholesale Price Surat. 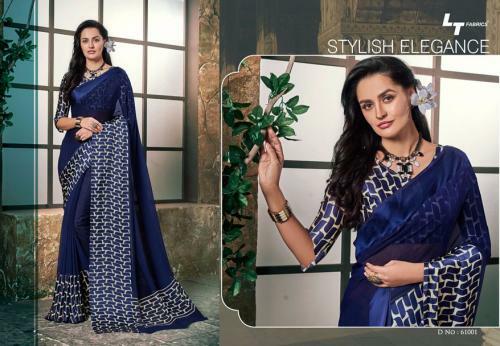 NP Saree Catalog : Beautifull 8 Weaving Range Designer Sarees By NP Saree .Latest Wholesale Party Wear Saree NP Saree NP Saree Full And Single Suit Catalog By NP Saree At Wholesale Price Surat. FD Vol 28 Catalog : Beautifull 9 Weaving Range Designer Sarees By FD Vol 28.Latest Wholesale Party Wear Saree FD Vol 28 FD Vol 28 Full And Single Suit Catalog By FD Vol 28 At Wholesale Price Surat. Oxygen Vol 3 Catalog : Beautifull 10 Weaving Range Designer Sarees By Kajree Fashion.Latest Wholesale Party Wear Saree Kajree Fashion Oxygen Vol 3 Full And Single Suit Catalog By Kajree Fashion At Wholesale Price Surat. Forever By Catalog : Beautifull 8 Weaving Range Designer Sarees By Saroj.Latest Wholesale Party Wear Saree Saroj Forever By Full And Single Suit Catalog By Saroj At Wholesale Price Surat. Zurich Catalog : Beautifull 12 Weaving Range Designer Sarees By Shangrila.Latest Wholesale Party Wear Saree Shangrila Zurich Full And Single Suit Catalog By Shangrila At Wholesale Price Surat. Rutba Catalog : Beautifull 14 Weaving Range Designer Sarees By Sahiba.Latest Wholesale Party Wear Saree Sahiba Rutba Full And Single Suit Catalog By Sahiba At Wholesale Price Surat. Sonakshi Silk Vol 5 Catalog : Beautifull 9 Weaving Range Designer Sarees By Yadu Nandan Fashion.Latest Wholesale Party Wear Saree Yadu Nandan Fashion Sonakshi Silk Vol 5 Full And Single Suit Catalog By Yadu Nandan Fashion At Wholesale Price Surat. Kaamini Vol 4 Catalog : Beautifull 11 Weaving Range Designer Sarees By Shangrila.Latest Wholesale Party Wear Saree Shangrila Kaamini Vol 4 Full And Single Suit Catalog By Shangrila At Wholesale Price Surat. Aarshi Catalog : Beautifull 10 Weaving Range Designer Sarees By LT Fashions.Latest Wholesale Party Wear Saree LT Fashions Aarshi Full And Single Suit Catalog By LT Fashions At Wholesale Price Surat. Banaras Vol 3 Catalog : Beautifull 10 Weaving Range Designer Sarees By Kianna.Latest Wholesale Party Wear Saree Kianna Banaras Vol 3 Full And Single Suit Catalog By Kianna At Wholesale Price Surat. Designer Sarees Catalog : Beautifull 15 Weaving Range Designer Sarees By POZE Jenifer .Latest Wholesale Party Wear Saree POZE Jenifer Designer Sarees Full And Single Suit Catalog By POZE Jenifer At Wholesale Price Surat. Sheesha Milestone Catalog : Beautifull 10 Weaving Range Designer Sarees By Vinay Fashion .Latest Wholesale Party Wear Saree Vinay Fashion Sheesha Milestone Full And Single Suit Catalog By Vinay Fashion At Wholesale Price Surat. Mintorsi Catalog : Beautifull 13 Weaving Range Designer Sarees By Varsiddhi Fashion.Latest Wholesale Party Wear Saree Varsiddhi Fashion Mintorsi Full And Single Suit Catalog By Varsiddhi Fashion At Wholesale Price Surat. Glimpse Catalog : Beautifull 10 Weaving Range Designer Sarees By LT Fabrics.Latest Wholesale Party Wear Saree LT Fabrics Glimpse Full And Single Suit Catalog By LT Fabrics At Wholesale Price Surat. Crystal Silk Catalog : Beautifull 15 Weaving Range Designer Sarees By Shangrila Saree .Latest Wholesale Party Wear Saree Shangrila Saree Crystal Silk Full And Single Suit Catalog By Shangrila Saree At Wholesale Price Surat. Heritage Silk Catalog : Beautifull 11 Weaving Range Designer Sarees By Vipul Fashion.Latest Wholesale Party Wear Saree Vipul Fashion Heritage Silk Full And Single Suit Catalog By Vipul Fashion At Wholesale Price Surat. Modern Wrap Catalog : Beautifull 17 Weaving Range Designer Sarees By Apple.Latest Wholesale Party Wear Saree Apple Modern Wrap Full And Single Suit Catalog By Apple At Wholesale Price Surat. Aashna Catalog : Beautifull 17 Weaving Range Designer Sarees By Sanskar.Latest Wholesale Party Wear Saree Sanskar Aashna Full And Single Suit Catalog By Sanskar At Wholesale Price Surat. Amrapali Catalog : Beautifull 6 Weaving Range Designer Sarees By Yadu Nandan Fashion.Latest Wholesale Party Wear Saree Yadu Nandan Fashion Amrapali Full And Single Suit Catalog By Yadu Nandan Fashion At Wholesale Price Surat.